Description: Every year around Christmas time we are bombarded with advertisements suggesting you “name-a-star” for a loved one. If you purchase a “Name-a-Star” kit, your loved one’s name will forever be listed in the heavens and known to all. Right? Wrong! No one can pay to name a star after anyone. What you get is a fancy certificate and the “star naming” company gets your money. Why not create your own unique astronomical gift by creating a Birthday Star for an upcoming loved one’s annual Welcome-to-Earth day. Bio: Patrick McQuillan earned a B.S. degree in Physics from the College of William and Mary. His senior research project involved determining the period of variable stars, most notably Alpha Auriga. This was at a time when collecting data meant going to the roof of the physics building, locating the star by hand, and tracking the star manually by following a guide star in the finder scope. No GPS-auto-guiding-from-a-climate-controlled-remote-location! In the twenty plus years since then, he has explained astronomy to the general public as a Planetarium Director, the Education Manager for Challenger Center for Space Science Education, a NASA Solar System Ambassador, and currently explains Earth Science as Education and Outreach Specialist for IRIS. You can view current earthquake activity using the Seismic Monitor located on the IRIS website. Ryan McQuillan is just a kid. Although he is passionate about all things Lego, animals, science, rock collecting and the wonders of the night sky. 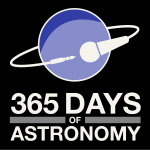 Today’s sponsor: This episode of “365 Days of Astronomy” is sponsored by Dave Mosher. Patrick: Hello, I’m Patrick McQuillan. Ryan: And I’m Ryan McQuillan. 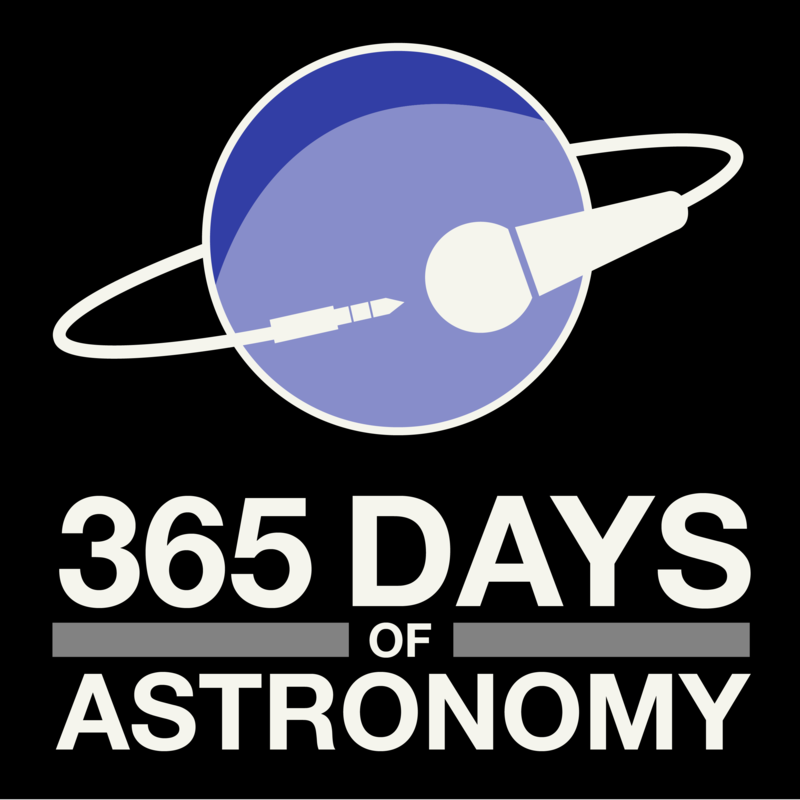 Patrick: edition of the 365 Days of Astronomy Podcasts. I am Education and Outreach Specialist with IRIS, the Incorporated Research Institutions for Seismology, a NASA Solar System Ambassador and a former Planetarium Director. Ryan: And I’m just a kid! Patrick: Lately, every year, usually around a major holiday such as Christmas or Valentine’s Day, you will begin to hear advertisements on the radio from this or that Intergalactic Stellar Register hawking the relationship building effects of buying a star for a loved one. Ryan: Hey! That’s crazy talk. You can’t buy a star. Stars are big, made of hot gas and very, very, very, very far away. Patrick: Uhm…yes I guess they would let you name a star after your cat. And if you purchase the chance to name a star, the star naming company will print your star’s name in their star name directory book so that everyone in the world will know that from now on that star has been renamed. Ryan: Well that is just crazy. No one is going to look up at the night sky, point to the brightest and say look there is the famous star named Thomas Cat. Patrick: Well you would. And your cat would, if he could talk. Patrick: That he might. And you are correct. It really is just a novelty gift. No one will use your star’s name. No one can officially name a star. Ryan: Isn’t there a group that does? Patrick: Yes. The official organization that names astronomical objects is the International Astronomical Union. They decide all the official names for objects in the Universe. These are the names that astronomers and everyone else will use to identify stars, asteroids, comets and planets. Ryan: Those guys are the ones who got rid of Pluto. Patrick: Well they didn’t get rid of Pluto. Ryan: Did it used to be a planet? Ryan: Is it a planet now? Ryan: They got rid of it. Patrick: Sigh. They actually reclassified it as a dwarf planet. It is still called Pluto. But that is a story for another time. Anyway, if you buy a name-a-star kit you get a color certificate (suitable for framing,) a chart of the night sky showing the location of your star, a booklet about astronomy, and a letter of congratulations. Ryan: How much does it cost? Patrick: Depending on the company it can cost between 50 and 155 dollars. Ryan: For a letter, a map, another paper you can frame and a booklet…not even a whole book? I could make that on my computer. And buy a whole astronomy book to go with it. For a lot less money. Patrick: Yes you could. Even if you are not a professional astronomer, there are quite a few resources available on the Internet that would allow you to find all the astronomical information you would need for the star. Then you could use PhotoShop, or a scrapbooking program, to create a very nice, and equally official looking I’ve-named-A-Star-After-You certificate. Ryan: If you are a kid and make one for your mom, you will get tons of brownie points. Moms love that sort of thing. Patrick: True, very true. Speaking of your mother, whose birthday is it today? Patrick: Yes, and how old is she today? Ryan: Don’t talk about Mommy’s age. Patrick: Yeah right, probably a wise thing not to discuss. But I do have a suggestion for a star for a star naming gift. You could make one for a Christmas present. Ryan: Santa Claus would have to bring that. Patrick: True. Well you could make one for Valentine’s Day. Ryan: If you have a girlfriend. Patrick: Do you have a girlfriend? Ryan: NO! I’m only 8. Patrick: Well then that won’t work. But that wasn’t what I was thinking. How about giving a Birthday Star as a present. Ryan: Birthday Star. What is that? Patrick: Well the idea has been around for a number of years. But basically you could name a star after someone for his or her birthday and pick a star that has some significance to that birthday. Ryan: How can stars have anything to do with someone’s birthday? Patrick: Well, it has to do with the speed of light. Do you know how fast light travels? Ryan: Really, really, really fast. It is the fastest thing in Universe. Patrick: Do you know the actual speed? Ryan: 300 thousand kilometers per second or 186 thousand miles per second. That is one million times faster than the Speed of Light. Patrick: Wow! How did you know that? Ryan: You wrote it in the script. Patrick: Oh…yeah, right. Anyway, since light does not travel instantly from one point to another point, it takes some amount of time for light to travel between those two points. Pretty much every time we experience light sources on the Earth, the distances are so short that we do not notice the time it takes light to travel. If you turn on a flashlight, you see the light seemingly instantly. But, if I were 186 thousand miles away from you and I turned on the flashlight, when would you see it? Ryan: One second after you turned on the flashlight. Patrick: Yes. Since light travels at a speed of 186 thousand miles per second, it will take the light one second to travel the 186 thousand miles from me to you. Now the Sun is 93 million miles away from the Earth. How long will it take light that is leaving the Sun right now to travel to the Earth? Ryan: Uhm… 93 million miles divided by 186 thousand miles per second equals 500 seconds. 500 seconds divided by 60 seconds per minute equals 8.33. So 8 and one third minutes. Patrick: Wow! That’s right it takes a little over 8 minutes for light from the Sun to reach the Earth. The farther away the star is, the longer it takes. The closest star to the Earth, after the Sun, is Proxima Centauri which orbits Alpha Centauri. Light from Proxima Centauri takes just over four years travel to the Earth. Ryan: Wow! That star must be really far away. Patrick: Yes it is. In fact the Universe as a whole is very large. The distances that astronomers have to deal with are so large that it isn’t practical to use inches, feet, and miles (or even kilometers) as units of measurement. So they invented a distance measurement that makes the large distances more manageable: the Light Year. A Light Year is the distance light travels in one year, about 5,878 billion miles. Ryan: Ok. But what does it have to do with birthdays? Patrick: Well since it takes a certain amount of time for light from stars to reach the Earth, you could pick a star to name that is an equal distance away from the Earth as the person’s birthday. So if someone is, say 8 years old, you could pick a star that is 8 Light Years away. That would be their Birthday Star. Ryan: Cool. That means that the light from that star left the star the year the person was born. Ryan: They would all have different Birthday Stars. Patrick: Yes. And since people get older, their Birthday Star next year will be different from their Birthday Star this year. Ryan: That means they could give the same gift over and over and over, just change the star you use. Easy gift! Patrick: Sigh. I guess you could. Ryan: So how do I make one? Patrick: Well, the for-profit companies’ Name-A-Star Kits usually include a star chart that shows the location of the named star and the constellation in which it is located, a certificate with the old star name, the new star name, the location in Right Ascension and Declination (which is sort of like an astronomical longitude and latitude,) information about the star (size, distance, etc.,) and the mythology of the star’s constellation, a short astronomy booklet, and a letter. Ryan: That doesn’t sound too hard. Where do we start? Patrick: Well first we have to find a star whose distance away in light years matches the birthday person’s age. Ryan: Where can I find that? Patrick: Well you can find lists of stars within about 25 light years of Earth in a few places on the Internet. Or stop by the library or local bookstore. One good source for distances of bright stars in the night sky is the Observer’s Handbook published by the Royal Astronomical Society of Canada. Use the handy “Distances of the Brightest Stars” section. Norton’s Star Atlas is another good source. Online, if you Google “bright star distances,” you will see two hits near the top that have the 26 and 50 brightest stars. That will give you a nice range of years for stars. If you Google “star distances” you can find the distances to the closest 25 or so stars. To actually make one, you could use the Sun as the star for someone who was born…. Patrick: Yes. Then the next star you can use is Proxima Centauri or Alpha Centauri for a 4 year old’s birthday. Barnard’s star is 6 light years away. Wolf 359 in the constellation Leo the Lion is about 8 light years away. Ryan: Hey! That’s where the Star Trek people fought the Borg. Patrick: Uhm, yes that was fiction. How old will you be next year? Patrick: Well the brightest star in the night sky, Sirius in the constellation Leo the Lion, is about 9 light years away. Ryan: So on my birthday next year, the light that I can see if I look at Sirius left the star the year that I was born. Patrick: The star Epsilon Eridani is 11 light years away. Ryan: Ooh! Mister Spock lives there. Patrick: Highly logical of you to mention that. Although the planet Vulcan is fiction, Epsilon Eridani was the star that it was supposed to be around. And Epsilon Eridani seems to be one of the closest stars to Earth that has planets orbiting it. Possibly two planets and a disk of dust surround the star. Patrick: Altair in the constellation Aquila the Eagle is 16 light years, Vega in the constellation Lyra the harp is 25 light years, Capella in the constellation Auriga is 42 light years, 51 Pegasi (first star discovered to have a planet orbiting it) in the constellation Pegasus is 50 light years, Aldebaran in the constellation Taurus the Bull is 65 light years, Regulus in the constellation Leo the lion is 78 light years, and if you are really lucky you might get to use Alkaid in the constellation Ursa Major which is 100 light years away. Ryan: Not many people get to use that one. Patrick: One of my personal favorites, this year at least, is Porrima. Porrima, a double star in the constellation Virgo, is 38 light years away. Ryan: Mommy would like that one this year. And a double star is like getting two presents! Ok. I picked a star. Now what? Patrick: Well the next thing you can do is get the information about that star to put on the certificate. You could include the magnitude (which is the brightness of the star,) its location, its constellation, the constellation myth, and type of star, red giant or white dwarf, for example. Ryan: You shouldn’t give a white dwarf. Red giants are better. Ryan: You have a much bigger present to open. Patrick: Sigh. Anyway, after you get the star’s information you can use whatever program you like to make a nice looking certificate. Next you need to print a star map. Ryan: That’s a lot of dots to put on a page. How do I do that? Patrick: Well most computer planetarium software programs, like RedShift or The Sky, will let you print out star maps. There are even a few programs available online that you can use, like Stellarium or Sky and Telescope’s Interactive Sky Chart. A very nice star map can be printed using the Mag-7 Star Atlas located at cloudynights.com. It was created using a Creative Commons License so you can reproduce the charts for non-commercial use. Print out the star chart that includes your star using an 8½ by 11 sheet of glossy photo paper. That will give you a very official looking map. Mark the location of the star with a circle using a permanent ink pen. Ryan: How about the Letter? Ryan: The king has decided that you are worthy of the honor of having your name placed among the stars. Patrick: Or something like that. Ok, we have everything but the booklet on astronomy. Ryan: You could go to the bookstore and find lots of pretty cool books on constellations, or the planets, or the Moon. Patrick: That’s a great idea. A book would let you personalize the gift even more. You could pick an astronomy book they will enjoy. Or get them a general night sky constellation book so they can enjoy learning to observe the night sky. Or you could skip the book and using the money that you saved making the gift yourself, purchase a membership to the local science museum that also has a planetarium. Ryan: I bet the staff at the planetarium would be happy to help you pick a star if they knew that you were going to buy a membership. Patrick: They probably would. And it wouldn’t take them long at all. I did similar things many times during my years as planetarium director. Ryan: We better get started. Mommy’s birthday is today! Patrick: Yeah not much time. What star should we use? Ryan: We should use that double star one, but I think Mommy would like if we used Vega which is 25 light years away. Patrick: You catch on fast. Sounds like a plan. Patrick McQuillan earned a B.S. degree in Physics from the College of William and Mary. His senior research project involved determining the period of variable stars, most notably Alpha Auriga. This was at a time when collecting data meant going to the roof of the physics building, locating the star by hand, and tracking the star manually by following a guide star in the finder scope. No GPS-auto-guiding-from-a-climate-controlled-remote-location! In the twenty plus years since then, he has explained astronomy to the general public as a Planetarium Director, the Education Manager for Challenger Center for Space Science Education, a NASA Solar System Ambassador, and currently explains Earth Science as Education and Outreach Specialist for IRIS. You can view current earthquake activity using the Seismic Monitor located on the IRIS website. Ryan McQuillan is just a kid. Although he is passionate about all things Lego, animals, science, rock collecting, and the wonders of the night sky. WOW! That is so unique and personalized on many levels. You boys did a terrific job. I am still smiling having heard your banter. Take care! In case you didn’t notice the slight error in the podcast, the speed of light is one million times faster than the speed of SOUND. Somehow we said “one million times faster than the speed of light.” Oops! The speed of light can not be faster than the speed of light. FANTASTIC JOB Pat and Ryan!!!! What a cool gift !!!! I’m sure the Birthday Girl really appreciates all the time and effort that went into this. VERY EDUCATIONAL. Ryan, you did a very good job because you put the cuteness in your dad’s science talk. Patrick, I learned something new & miss that you are not our planetarium director anymore. I would have loved you to come and talk to my pre-k class. Neat! Very amusing. I also like your interpretation of “birth star” — it’s more related to physical reality than some I’ve heard in the past. Great job, Ryan… and Patrick, too. I LOVE my birthday gift. How many girls get a podcast and a star for their birthday?! Love ya both!